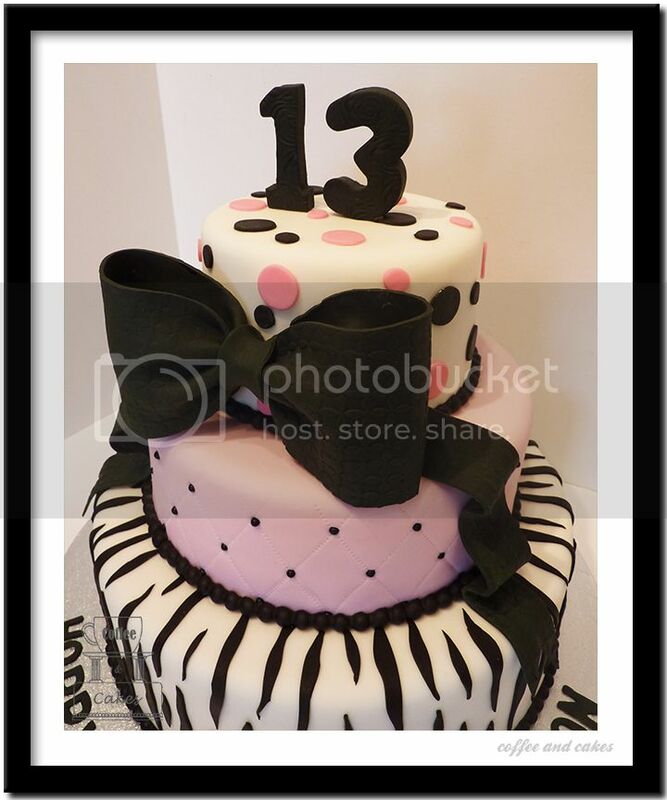 Coffee and Cakes: Three Tiers for Thirteen Years! 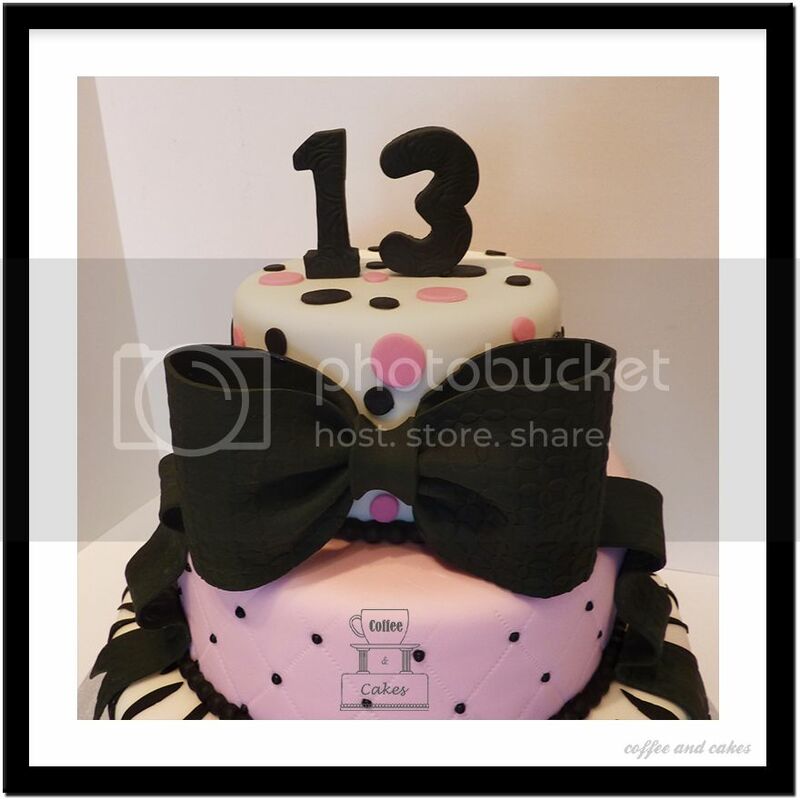 Three Tiers for Thirteen Years! 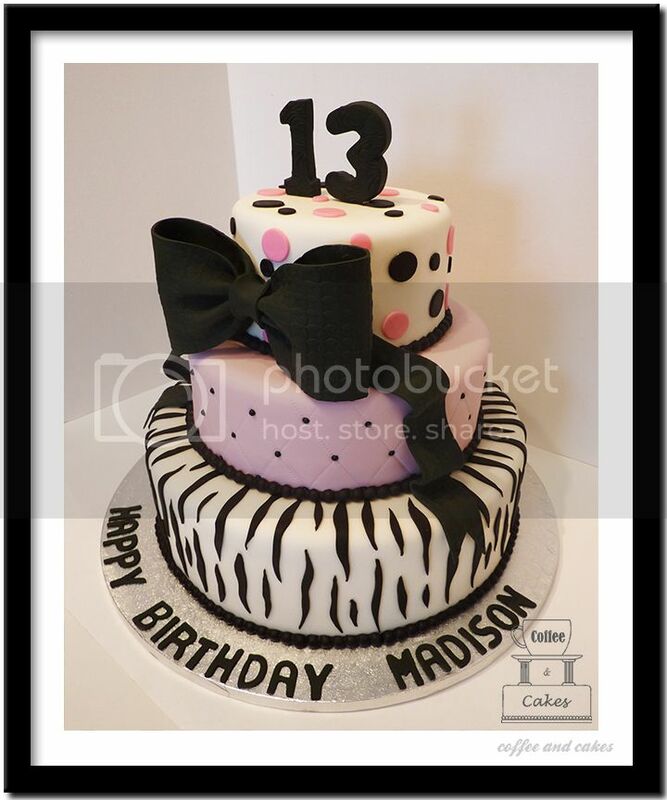 A lovely stunning three tier creation by Lisa for Madison on her 13th Birthday. A combination of poka dots, Zebra strips and pink pattern trimmed with a bow really helped set the table for a very special day.